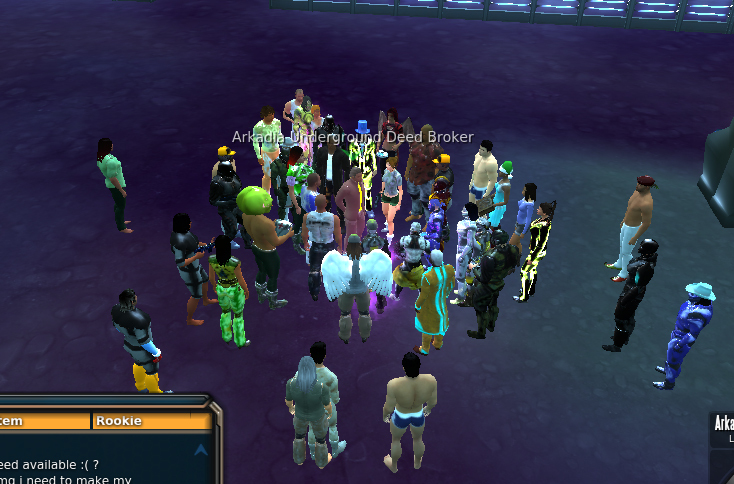 Today Wednesday 26-march-2014 the Arkadia Underground Deed was released. Different to the early announcment they are not been sold via auction, now are for sale by a special deed broker which is to find in the the Arkadian Underground. The broker will refill with the time with new deed’s. He is located in the entrance area close to the TP. So they will be sold over time and not be unlimited available. This is all different then it was announced in the beginning. I think, the broker should prevent that a few buy off all from auction and get a absolute monopol on Arkadia Underground Deed ‘s. So with the broker it will be easier to spread the Arkadia Underground Deed ‘s across the whole community. 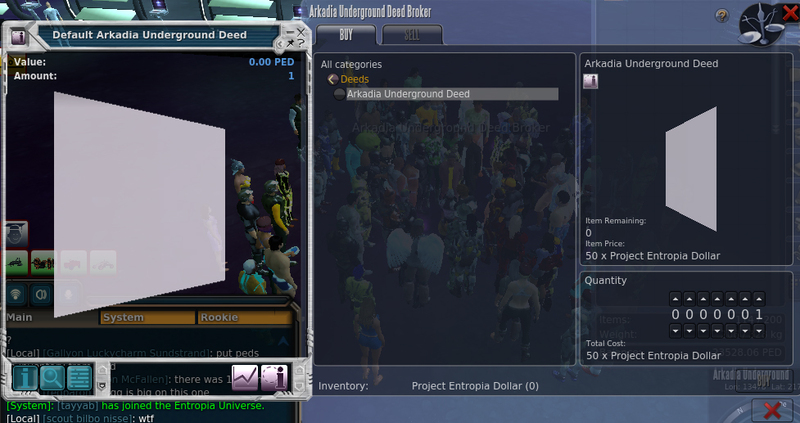 There is no projected ROI shown in the item info of the Arkadia Underground Deed. Please note the Arkadian Underground is quite new and the ROI will probably change with the time. Most likely down, but who knows what the developers already planing for the future of the Arkadian Underground. Originally information was posted here. What a Mess……….they gonna drop in minute interval now………… Well done, we need now look the whole next weeks into the Deed Broker if he maybe has some left due some people (not mention names here) will have 24/7 their twice char there to clean the market, and reselling at the same time on the backhand with another char. The Ped need beeing remooved from pedcard into inventory to purchase the Deed’s. I won’t buy any for the first, im not botherd to buy a cat in a bag. Together with this patch they filled the arkadian content with the treasure Map missions. Tom Tennant which is to find in the Moonshine bar in Celeste Harbour (central) can give assistance after aktivation of the treasure map mission. Thresholds for the HoF Ticker can now be set in the general Options menu, so that only globals over the selected value will be displayed. So we can set now the threshhold on 1000 ped and we are able to see only ubers anymore and avoid HoF spam with 55 ped HoF’s. Always nice to have the option to change it. Well done MindArk, i like the new socialising system more and more.